Brenda Vassaur Taylor, J.D., LL.M. University of Arkansas at Little Rock School of Law, J.D. 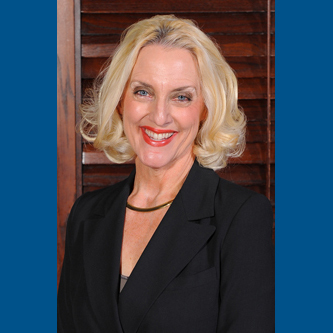 Brenda has practiced law in the areas of estate, business, and tax planning for over 30 years. She received her law degree from the University of Arkansas at Little Rock and completed her Masters in Law in the area of Taxation from Southern Methodist University. Prior to law school, Brenda received her B.B.A. in Accounting from Baylor University. She has also passed the CPA exam. She is licensed to practice law in the state of Arkansas and U.S. Federal Courts. Currently she is a member of the state and county bar associations; she holds membership with national and local groups, such as the American Agriculture Law Association; WealthCounsel, LLC; the Advisors Forum, LLC; the National Academy of Elder Law Attorneys, Inc.; Christian Legal Society—Gift, Estates, and Trusts Section; Leave a Legacy; and the Northwest Arkansas Estate Planning Council. She has served as the Estate Planning Chairman of eXtention–an Agriculture Legal Practice Community. Due to her background and work experience, she also has gained significant experience in agricultural, elder, and real estate law and has developed her current practices accordingly. She is founder of a business strategies organization, Private Client Services Group LLC, which works with its clients to coordinate the use of specific areas of professional services: law, land management, accounting, tax, and financial services. In addition to her law firm, she is the principal founder and owner of two additional companies—Farm-Land Strategies, LLC, a professional farm services company, providing her opportunities to work with her love of agriculture, and Accounting Strategies, LLC which is committed to making accounting work for her clients. Brenda is also co-founder/owner of MYOB, LLC, a publishing company which seeks to publish works of lessons learned well. When not working, Brenda stays involved with her family –even though all four children are professionally involved in her company structures. She is blessed with three grandchildren and continues to be involved in providing pro bono legal service to various civic and non-profit councils and boards, including the Arkansas Baptist Foundation, and as a founding member of Arkansas Women in Agriculture, Inc. Brenda also remains active in various civic and political organizations which promote the greater good of Arkansas as well as our country at large.